Liberty's award-winning McIntosh, made with a 200-year-old apple variety. Esteemed Spokane cider maker Liberty Ciderworks recently brought home another accolade for one of its products at the 2019 Good Food Awards, held in San Francisco last weekend. 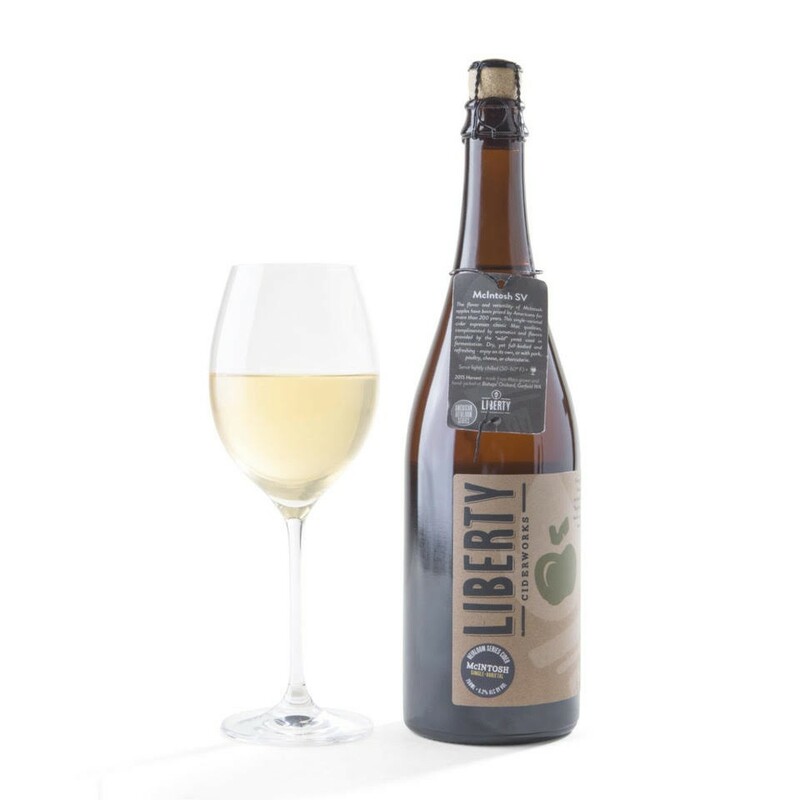 Liberty’s Heirloom Series McIntosh was one of 13 ciders from across the U.S. honored at the event, and one of just three craft ciders from the Pacific Northwest and the only 2019 Spokane-area award recipient. The McIntosh cider is “made exclusively from McIntosh apples grown at Bishops’ Orchard in Garfield and the 'native' yeast found on the apples themselves,” says cidery co-founder Rick Hastings. On Liberty's website, the heirloom series cider, pressed in 2015, is described as having a dry profile with notes of honey, cream and custard. It's aged for 12 months before bottling. “We’re excited and honored to be part of Spokane’s emerging food and beverage scene, and to help elevate our region’s reputation as a place where some of the world’s finest wines, beers, distilled products and ciders are made,” Hastings continues. Liberty has been recognized for its creative and traditional ciders on numerous other occasions, including Best of Show at GLINTCAP, the largest cider competition in the world, as well as honors at both the 2017 and 2018 Cidercraft Awards, among others. Organized by the Good Food Foundation, the annual Good Food Awards recognizes top-notch independent food producers for artisanally and responsibly crafted products. Liberty Ciderworks was one of 19 Washington state-based winners in 2019; Seattle Met magazine has a list of all Washington winners here. To taste or purchase bottles of any of Liberty’s hard ciders, head to its downtown Spokane tasting room at 164 S. Washington, Suite 300, and find other regional retailers and taprooms featuring its products here.